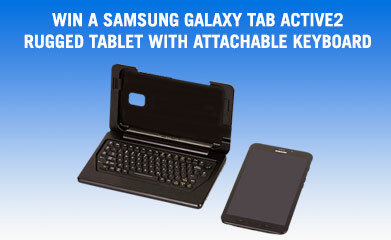 Win a Samsung Galaxy Tab Active2 Rugged Tablet with attachable keyboard from iKey! Simply enter your email address and industry by 7/8/19. No purchase necessary.